Climate change. Renewable energy. Smart grids. Clean vehicles. Long-lasting batteries. These are among the challenges and innovations that are driving the world in the 21st century. This is where we need skilled engineers to lead the way. 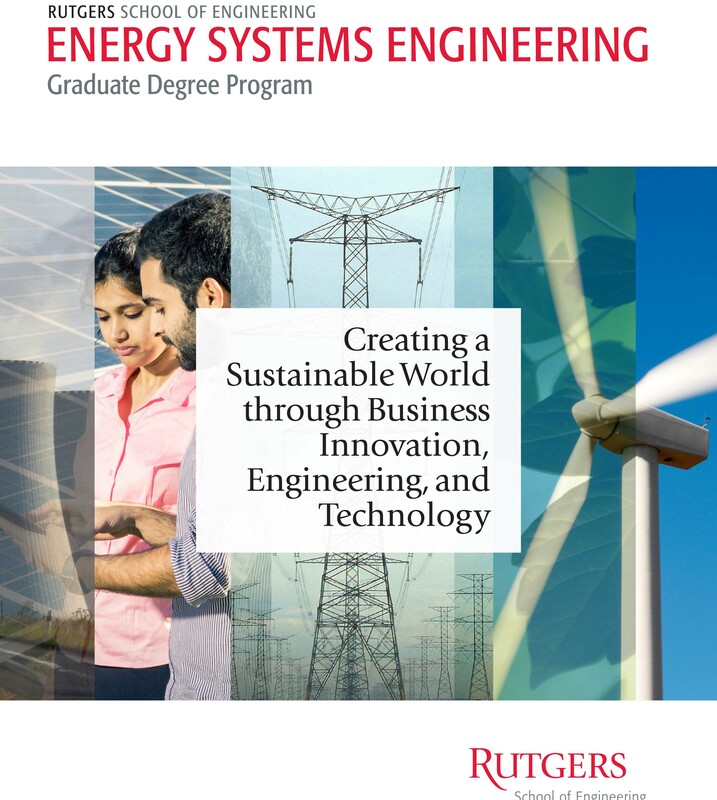 Rutgers School of Engineering is pleased to announce a new interdisciplinary master’s program in Energy Systems. It allows students to explore the many facets of this dynamic and expanding field by combining coursework across many departments with hands-on learning. The program promotes interdisciplinary collaboration by integrating technology and science with business, IT, public policy, and regulatory study to provide students with the building blocks needed to succeed in the energy field. By incorporating theory and applied engineering training this collaborative program is resourced through six School of Engineering departments and the Graduate School-New Brunswick, along with the Edward J. Bloustein School of Planning and Public Policy and the Rutgers Business School. Students are trained to solve real-life engineering problems in energy-related fields. Research Opportunities are many in R&D settings like the Energy Lab, a state-of-the-art energy simulation lab that includes a mini smart grid where students can monitor live energy consumption in the more than 1000 buildings on Rutgers campuses. The Center for Energy, Economic and Environmental Policy (CEEEP), the Rutgers Energy Institute, the Rutgers EcoComplex, a clean energy and environmental research and business incubation center, and The Laboratory for Energy Smart Systems (LESS), a multidisciplinary research center that brings together public agencies, private industry, and communities to build sustainable and resilient energy solutions, are among the centers where students conduct research. Hands-on Learning is a key component of this program. Students will complete a related internship or independent hands-on project as part of their training. Rutgers University’s School of Engineering is a vibrant academic community committed to integrating education and research to achieve transformational innovation that is ethically responsible and sustainable. 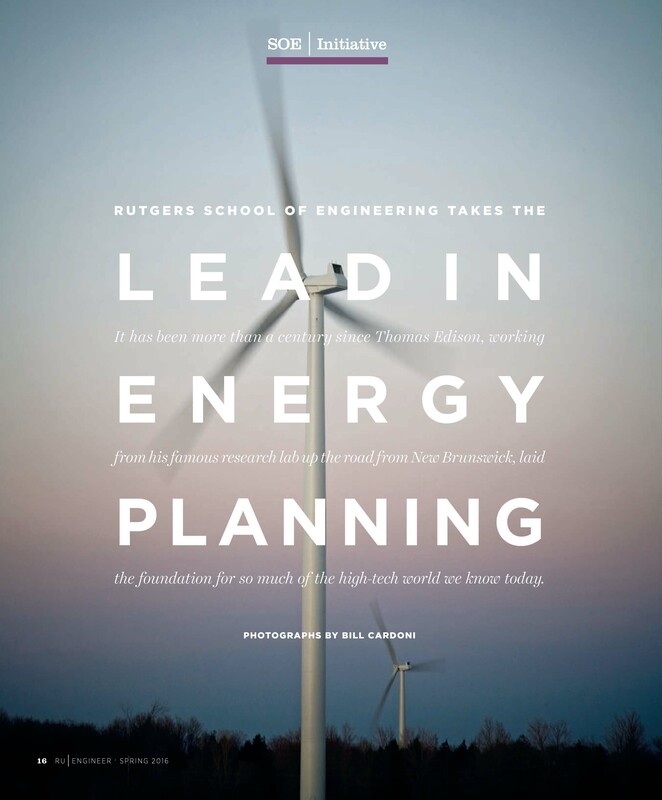 Energy is a priority for Rutgers School of Engineering. The Rutgers University-New Brunswick master’s program in energy systems is one of the few of its kind in the tri-state area and nationwide. Our accomplished faculty, engaged in cutting-edge research, are recognized experts in their field. Our state-of-the-art energy labs are where innovation happens. We have strong connections to the energy industry, including power companies, utilities, energy consulting firms, and technology companies. These relationships enable us to place our students in meaningful internship programs and to assist them in finding full-time positions upon the completion of their degrees. As the energy industry undergoes transformative changes, a highly trained, diverse workforce is needed to innovate and drive the world’s clean energy future. Studies show that energy companies expect to hire energy professionals in the next 12 months and also that they expect a shortage of qualified candidates. We encourage you to take advantage of this unique training opportunity and become part of the team that powers the world forward toward clean, efficient energy independence. Program is open to full-time and part-time students who hold a bachelor’s degree in engineering. Admission requirements include GPA of 3.0 or higher in an engineering field.